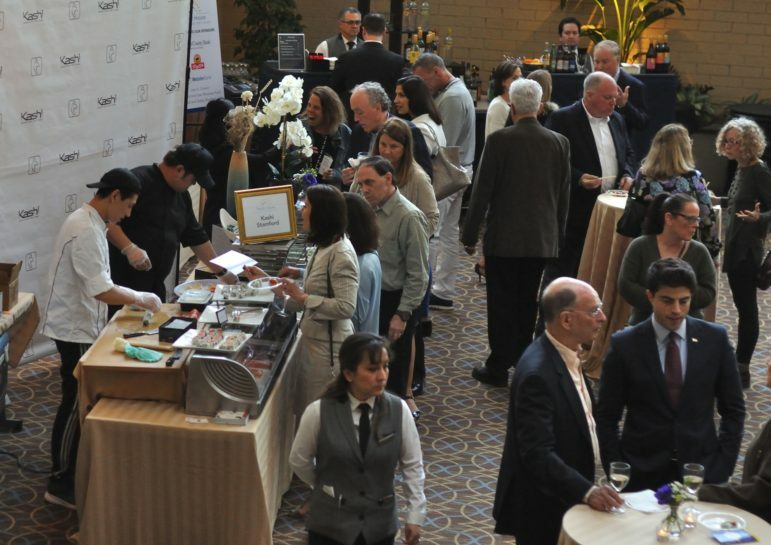 Hundreds of community leaders, food and music enthusiasts and community-minded area residents gathered together at the Pacific House Food & Wine Experience Thursday night at the Sheraton Stamford Hotel. The event raised nearly $40,000 to help homeless youth and the Pacific House Young Adult Program. 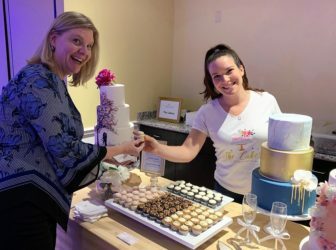 Laura Roberts of Fairfield enjoys a cupcake from Natalie Rose, owner of The Cakery in Stamford. This community tradition offered delicious tastes from award-winning local restaurants, top chefs and sommeliers. Music, a fun photo booth and moving remarks rounded out this inspiring evening of caring for our community. 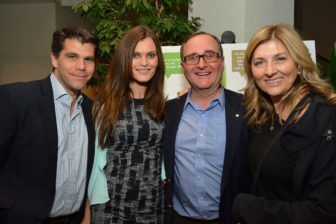 Hundreds gathered at the Pacific House Food & Wine Experience on April 4 to raise funds for homeless youth. The evening raised funds for the Pacific House Young Adult Program, which helps homeless young adults in lower Fairfield County find housing and connects them with employment, education and support services that prepare them for adulthood. Specialized case managers, programs and a dedicated living space at the Pacific House shelter helps these young people avoid a lifetime of homelessness. Pacific House is grateful to the evening’s generous sponsors, First County Bank, Webster Bank, ShopRite, Joan A. Connor, and the Fred and Joan Weisman Fund. Additional thanks are extended to the vendors including, Bareburger, The Cakery, Columbus Park Trattoria, DiMare Pastry Shop, Dinosaur Bar-B-Que, Kashi Stamford, Longford’s Ice Cream, Peter Chang, Stamford Sheraton, Sweet Lisa’s Exquisite Cakes, Triangles Eats, Westfair Productions, and Unbakeables. Pacific House is the only regional men’s emergency shelter, serving the towns of Greenwich, Stamford, New Canaan, Darien and beyond. Since 1985 the organization has served our area by providing food, temporary shelter and an array of support services to homeless men and young adults, including workforce development, recovery programming, and job readiness training. Shelter case managers work with each individual, helping them obtain housing and becoming more self-sufficient. Visit www.PacificHouse to learn more, or to make a donation. Commemorating its history of community impact, Tracee Ellis Ross was the featured keynote speaker at Fairfield County’s Community Foundation’s Fund for Women & Girls Annual Luncheon. 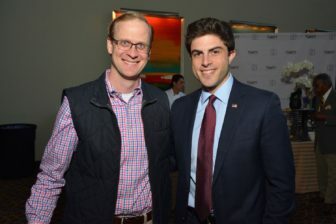 More than 800 friends and supporters from Connecticut and beyond were part of this celebration held at the Hyatt Regency in Greenwich, Connecticut, on April 4.